Rhapsody created by Scarlet Splendour is a coffee table with versatile functionality. 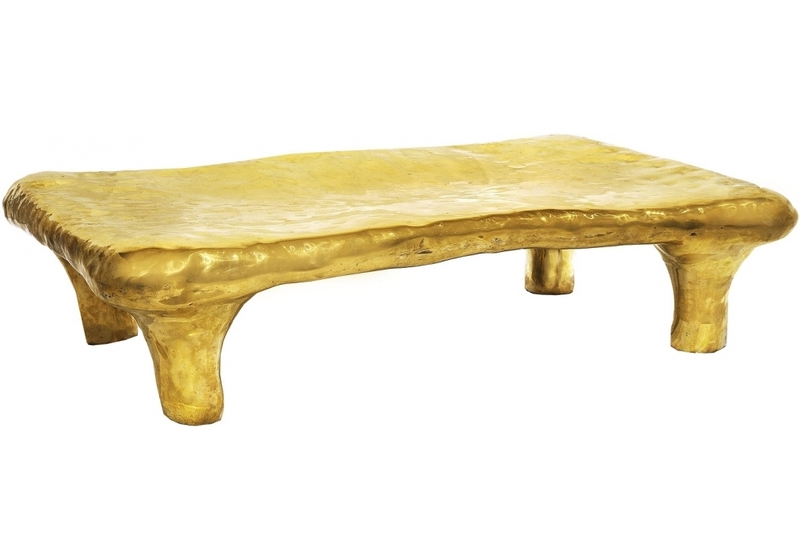 Scarlet Splendour presents Fools’ Gold its new collection of tables—inspired by that same rush of excitement. 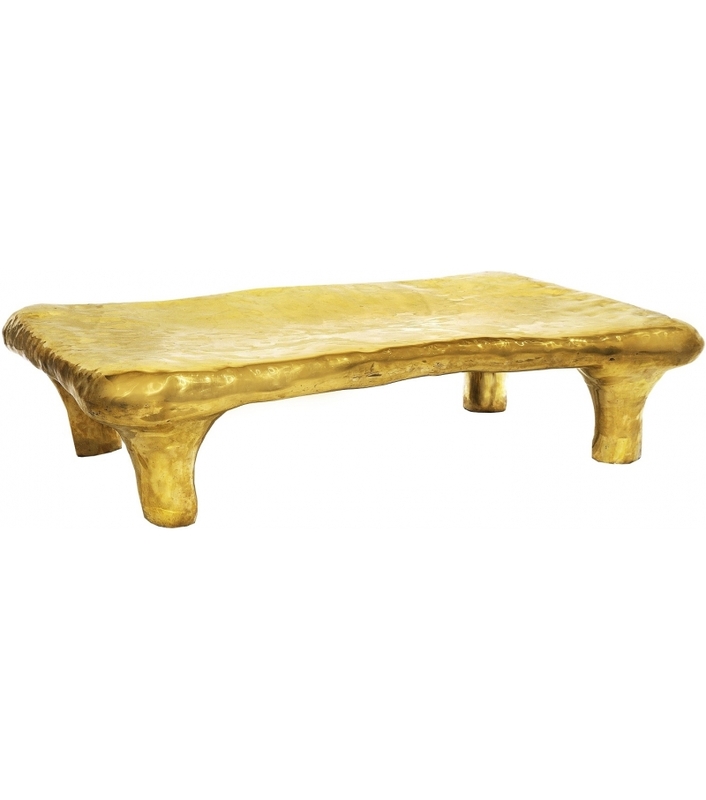 Its rich texture and colour combine traditional techniques in pure brass with contemporary amorphous sculpting. In the 16th century, English seamen voyaging to Canada stumbled upon gold—or so they thought. It filled the men’s hearts with intense momentary delight.